With a rich and documented history stretching back at least 2,500 years, Chinese herbalism is the oldest system of medicine in the world still in practice today. The herbs are used to re-establish the natural balance and flow of energy within the body, they compliment acupuncture treatments perfectly. 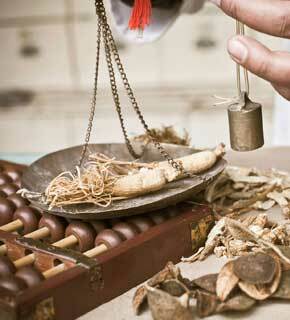 A herbal prescription is tailored very specifically to the patient based on their current state and the diagnosis. 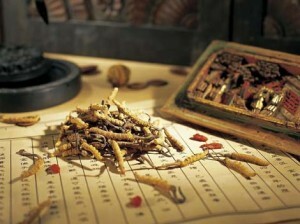 There has been some controversy surrounding the safety of Chinese herbal medicine in recent years. This is in large part down to uneducated use and self prescription, as such it is essential to consult a trained and licensed practitioner to ensure the herbal preparation is suited to your body composition and health issues. The herbs are gentle but powerful medicines. The TCM way is gentle and the skill, training and experience of the practitioner ensures the herbal prescriptions to be a supportive aid towards health. Traditionally dried herbs are boiled or decocted into a drink or tea, this takes around one hour. We also have powder and pill preparations, the tea pills require no preparation and are just as effective. We also have a selection of beautiful and tasty herbal teas direct from the orient available in the clinic, please enquire within.